Back in 1994, Argosy introduced the first console designed for the venerable Mackie 8-bus. 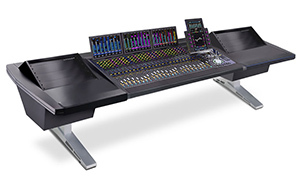 Since then, Argosy’s product palette has grown vastly and now offers dozens of ergonomic and cool-looking solutions for controllers, mixers, as well as for audio and video workstations. 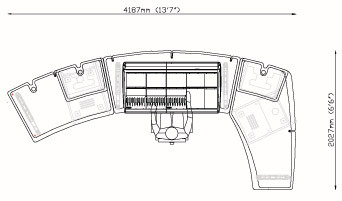 AKA designs and manufactures stylish technical furniture for audio and post. For 20 years AKA Design has worked on prestigious post production, recording studio and editing facilities worldwide with acoustic architects, contractors and installation companies to supply tailored technical furniture solutions. The AKAPRODUCT range comprises audio desks to house most leading audio brands, off-line and on-line editing desks and voice over tables. AKACUSTOM studio furniture is planned and crafted to individual requirements. AKA also offers a free(!) design layout service, scroll down for details. Come and have a look at AKA quality solutions in our showroom. SAGA maxi is synonymous with sophisticated, solution-oriented, high quality products. 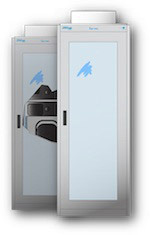 In the field of noise eliminating acoustic enclosures with thermal management, we are the world leader by far. Our benchmark is the use in professional broadcasting and military – our quality has to withstand their requirements without difficulty. Many of our products are on duty well over 10 years 24/7. That we understand as a “return on investment” for our customers, which is our reference. By firm operating structures, short information lines and high vertical production integration, we can serve customer needs at every single job. You as a customer contact us for advice, expertise, know-how, service and quality at the professional level that requires your job.